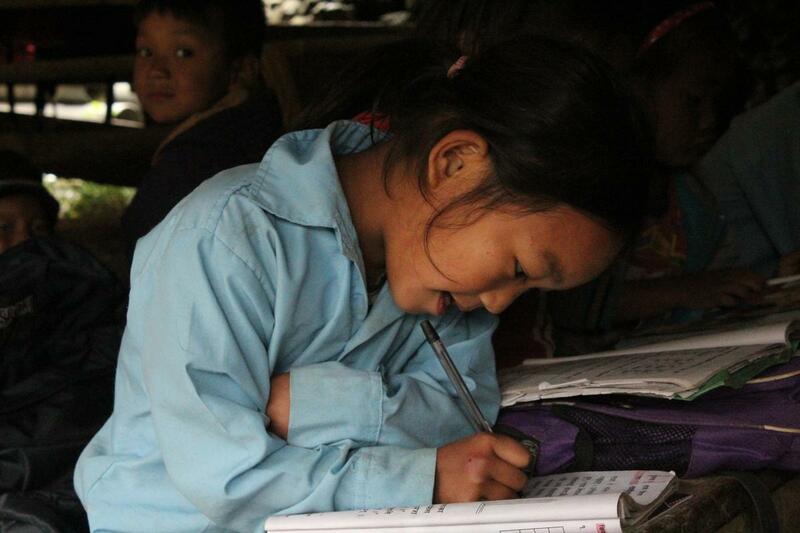 This is the second time we have built a school with the people of Kuri, and we’re thrilled to work with them again! Our first building project in Kuri was partially completed during the winter of 2014/2015 and was waiting for concrete to be poured in the spring. That classroom was badly damaged in the April 2015 earthquake, along with nine others. The classroom that CNA funded was to be a dedicated computer classroom. 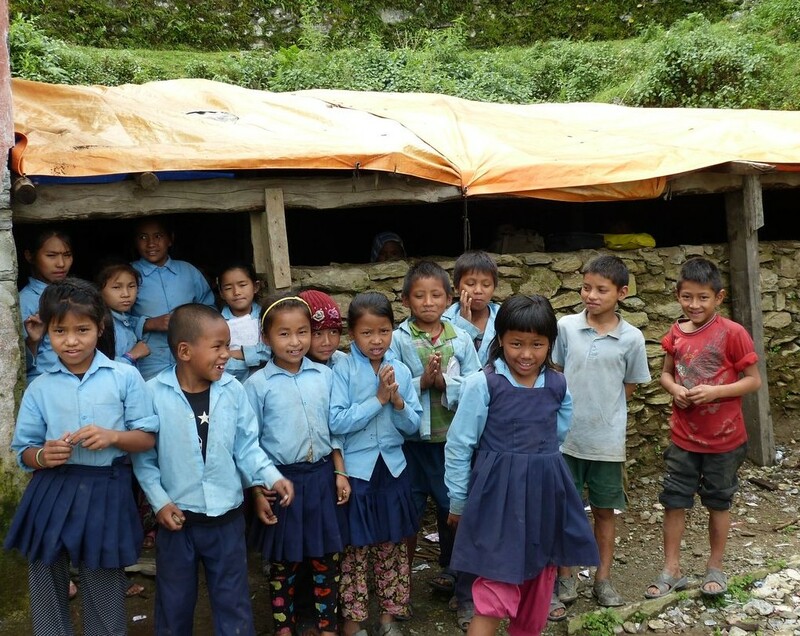 In the months since the April 2015 earthquakes, students have been attending classes in temporary classrooms hastily constructed by the community. These temporary classrooms do not have full height walls and some do not even have any mortar between the stones; they are very cold in the winter months! The school’s principal, Tek Maya Tamang, has said they need a minimum of eleven classrooms. We are starting the project with a three-classroom building at the only site that does not have temporary classrooms on it (this is the largest structure the site can accommodate). The school will dig out another terrace to replace three second-story classrooms that were originally on this site. The added space is needed because the government of Nepal, as well as our architect, have recommended against replacing the second story of the school building, as second stories are more difficult to evacuate quickly during an earthquake. Two remaining classrooms in a building built by a Japanese aid agency also were severely damaged, and still need to be evaluated by a structural engineer to see if they can be salvaged. Prior to the earthquake, they also had a room for the teachers to use for grading and to store supplies, as well as a library. 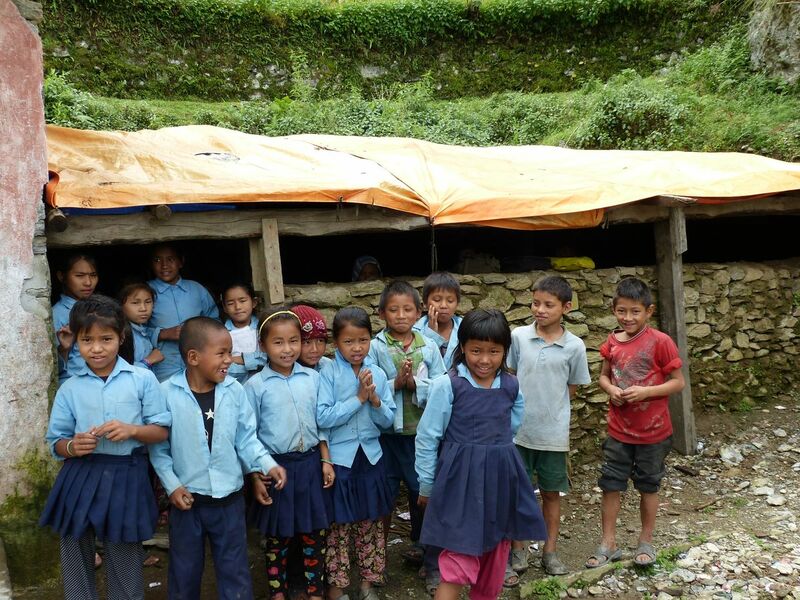 Originally, Colorado Nepal Alliance had intended to rebuild classrooms at Darkha’s only higher secondary school (Shree Ganesh Kunda), and had even surveyed the site with our architect in late September. Three weeks later, when we visited the site for followup, we found that they had started their own rebuilding project without notifying us, and we determined that the remaining land was inappropriate for our building. At the same time, our contacts in Kuri made it known that they would like our assistance in their rebuilding. Because of our past working relationship it was an obvious choice to switch our focus to their primary school. We couldn’t be more excited to get to work! Check back soon for updates. And as always, we couldn’t do any of this without your support.